Wholesale Embroidery (WE) has been providing UNIFORMS and OTHER DECORATED ITEMS since 1994 and under the same ownership since 1997. While WE specializes in Embroidery and Screen-printing, our Extensive Line allows us to compete very aggressively in the sale of undecorated uniforms. WE prides itself on quality, aggressive pricing and timely delivery. Our attention to these details has allowed us to develop and impressive list of Loyal Customers throughout the U.S.
WE has the experience and the equipment to deliver orders of all sizes. With 26 embroidery heads on premises WE has completed orders that included thousands of pieces on time and on budget. Customers often need to modify existing logos for special events. WE welcomes these challenges and sees them as opportunities to help our customers brand themselves. We make the process painless and quick. Under most circumstances we can turn around an order from day 1 of contact in 7-10 business days, and even quicker if need be. WE can assist in logo design with our 12,000 plus stock designs or we can digitize your existing logo to make it sparkle. WE will make sure you are please with the logo BEFORE DECORATION. 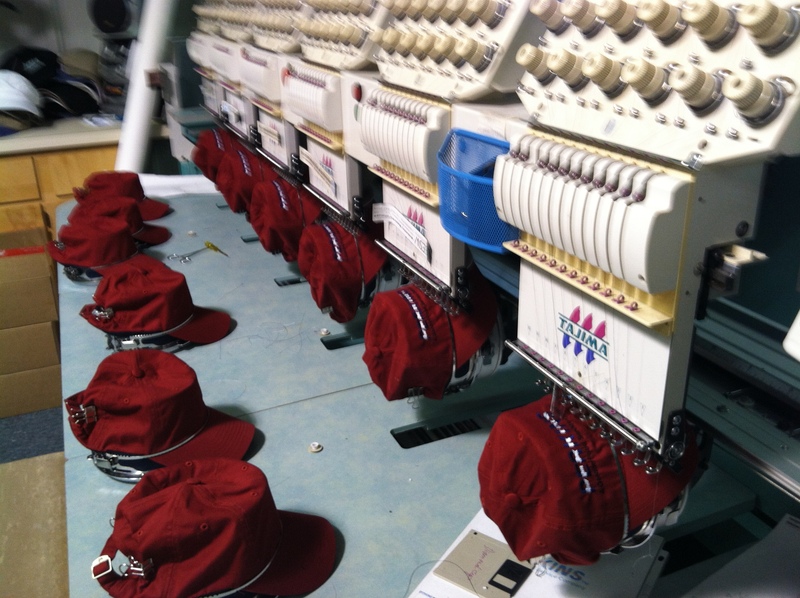 Whether you are outfitting a small company or a Fortune 100 conglomerate, Wholesale Embroidery has the know how and tools to get it done. With 30 combined years in the uniform business, coupled with many years in corporate America, we know how to make you look good.